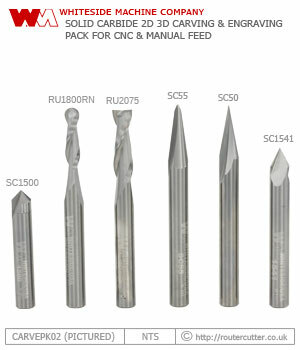 6 Piece 2D 3D carving router bit pack with 6.35mm shank (1/4" shank). Quality router bits made by Whiteside Machine Co. USA. Importantly the bits are supplied in plastic pouches and not as a 'Set' (NO DISPLAY BOX). 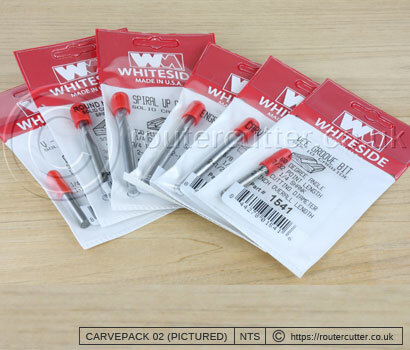 Special 6 piece pack of Whiteside's most popular 2D 3D carving and engraving router bits. Suitable for manual feed and hand carving with the smaller type of palm/trimming routers.